When it comes to building a website, nowadays you don’t have to resort to learning how to code or finding the right developer for the job. Thanks to content management systems, everyone can easily and quickly create a website for their business, agency, portfolio, resume or a blog. One of the most popular content management systems is Drupal, powering more than a million websites online. It’s a robust, open-source platform with powerful security features which made Drupal the platform that powers websites such as White House’s official website, NASA, CERN, London Government, and many others. Drupal has thousands of modules available to extend the functionality of your website along with thousands of Drupal themes on marketplaces such as Envato Elements and ThemeForest. In this article, we’ll showcase the best Drupal 8 themes that can be used to build any type of website. You can find the best drupal themes on Envato Elements, a subscription-based site, which means you pay a low ongoing monthly fee that allows you to download as many assets as you need and use them in both personal and commercial projects. 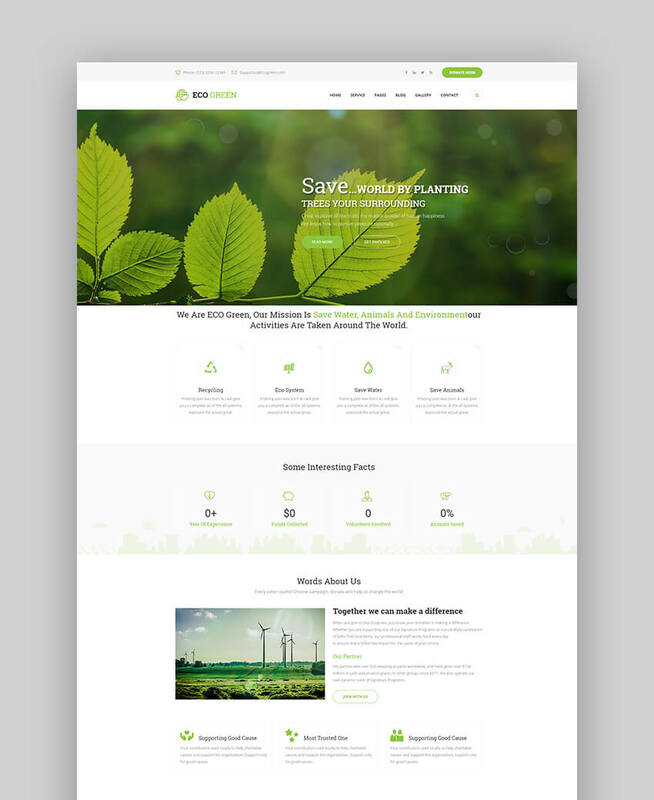 Envato Elements includes many design elements, including Drupal Themes – with unlimited access. The premium Drupal CMS templates we feature here from Envato Elements are designed especially for building a Drupal website from scratch or giving a site a redesign. If you need a Drupal template that you can customize quickly, we have the best designed ones to work with in this article. 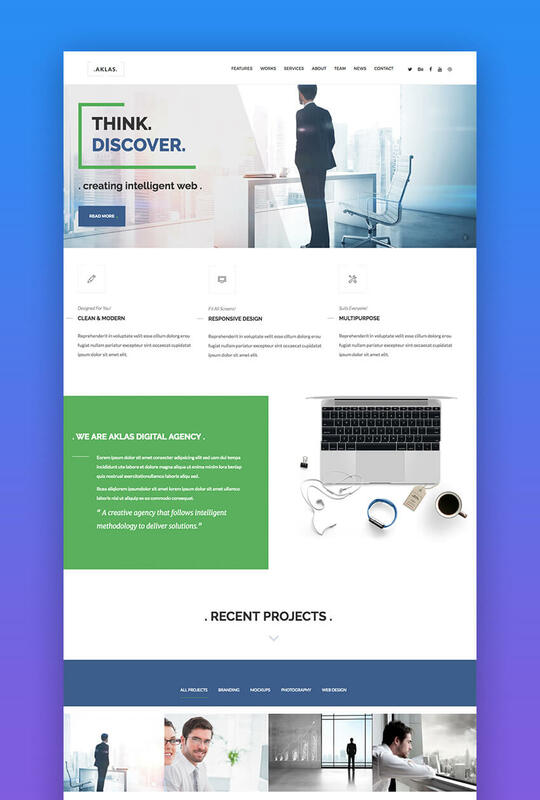 You can swiftly add your business ideas, insert your data, showcase your innovative solution, and craft exactly the website you need to attract customers for your startup or new small business. 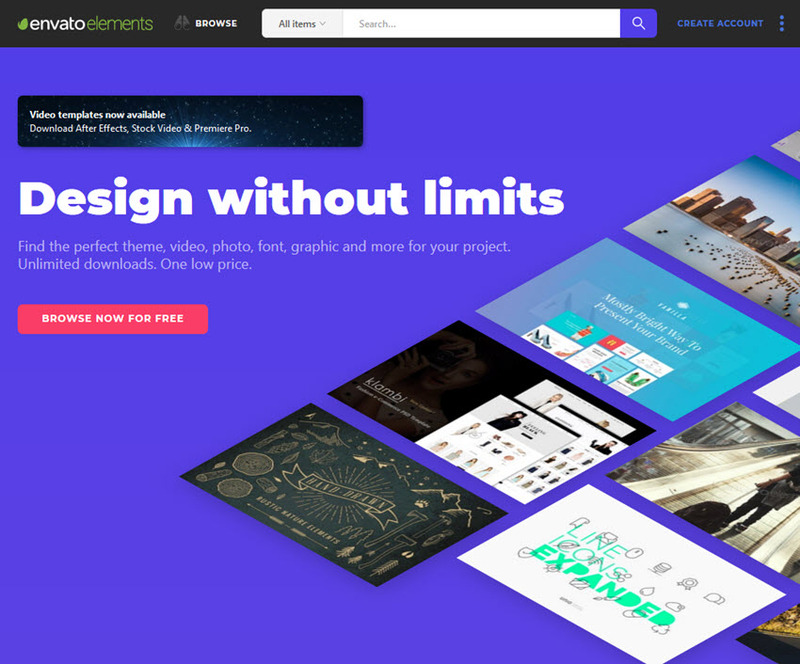 If you’re a developer or a designer that needs creative assets on a regular basis for client projects or if you’ve got multiple websites and want to save money on themes, graphic files, and fonts; Envato Elements is a great choice. As we’ve mentioned before, Drupal themes can be found on marketplaces like Envato Elements. 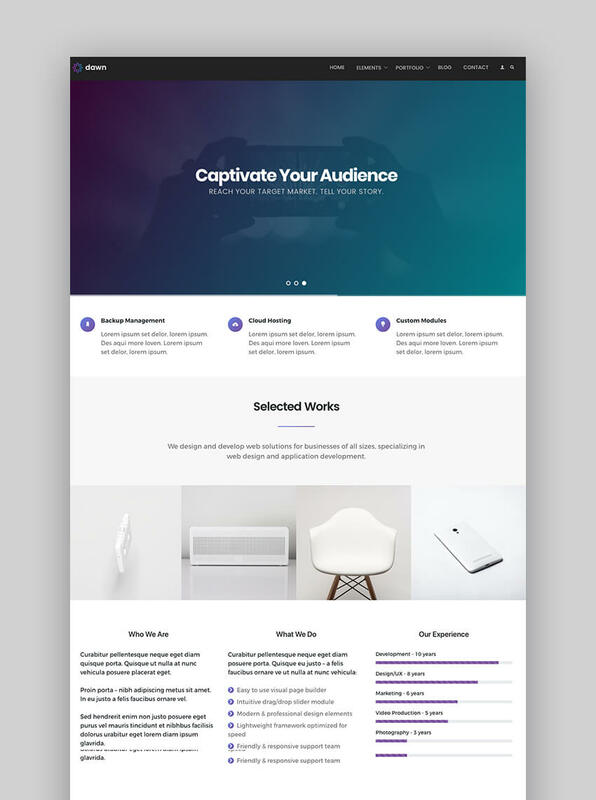 Envato Elements is a creative marketplace where you can find assets such as graphic templates for presentations, resumes, cover letters, fonts, Drupal themes, and any other asset you might need for your project. Here are five of the best Drupal themes from Envato Elements. 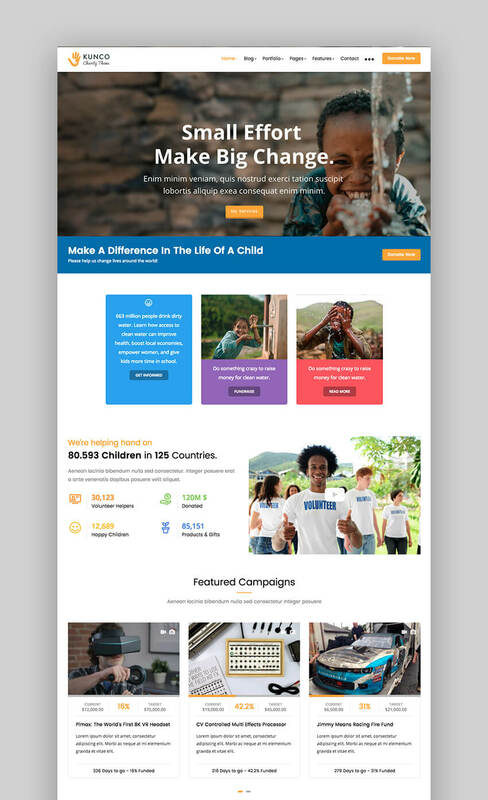 The first Drupal theme on our list is Bobby, a responsive and clean theme that’s perfect for landing pages and one-page websites. 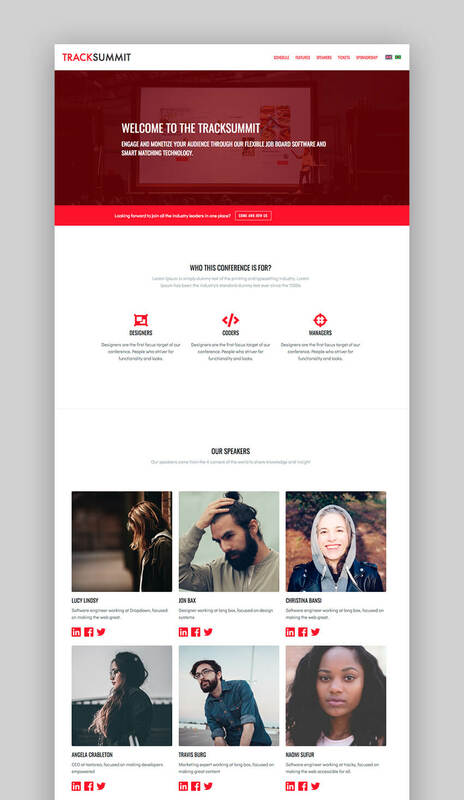 The theme supports image and video backgrounds and comes with working forms and modals. You’ll find plenty of customization features along with Font Awesome icon support so you can add extra visual appeal to your site. If you’re looking for a blog or magazine theme, look no further than Reader. 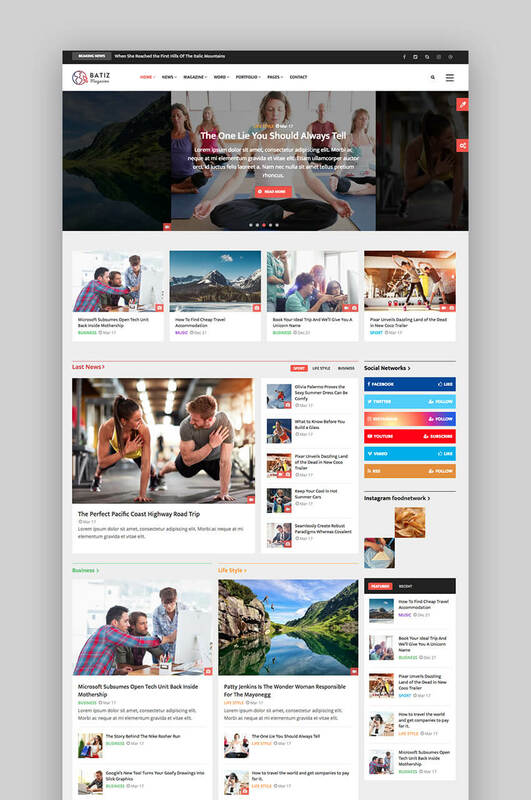 With an attractive grid-based layout and plenty of ad space, this theme will enable you to not only share stories, but also monetize your site by selling ad space. The theme is also fully responsive and optimized for SEO. 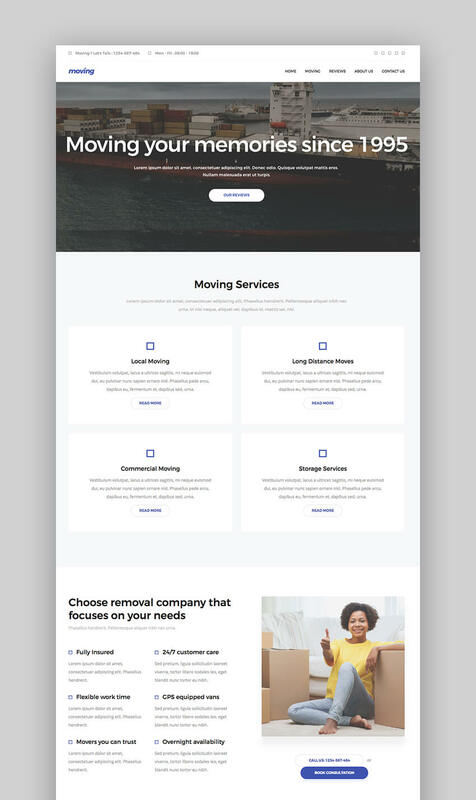 The Aklas theme features a clean and modern design that makes it easy for your visitors to focus on your services and products. 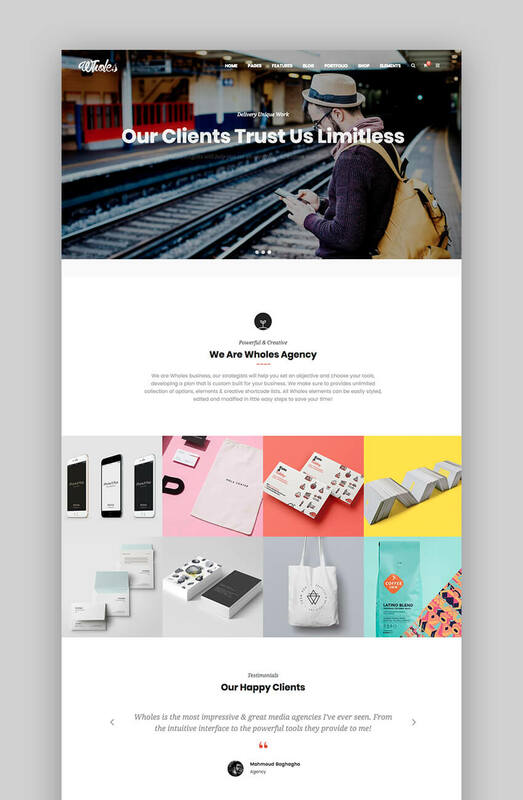 The theme can be used as a one-page and multipage theme and is a perfect choice for any corporate, design agency or freelancers’ portfolio websites. On top of that, the theme is also e-commerce ready and includes a drag and drop page builder. The Velocity theme is a great choice for anyone looking for complete control over the functionality of their website. 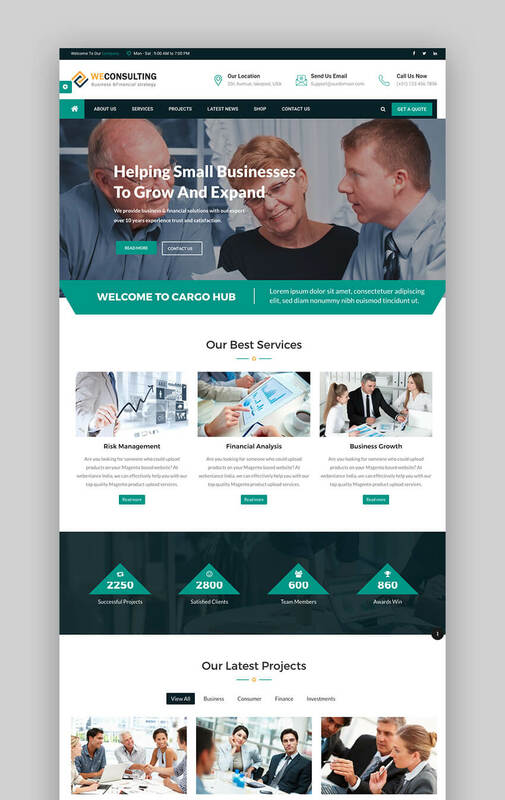 The theme can be used for corporate and portfolio or agency websites and has plenty of sections to display your past projects, services, skills, team members, and more. 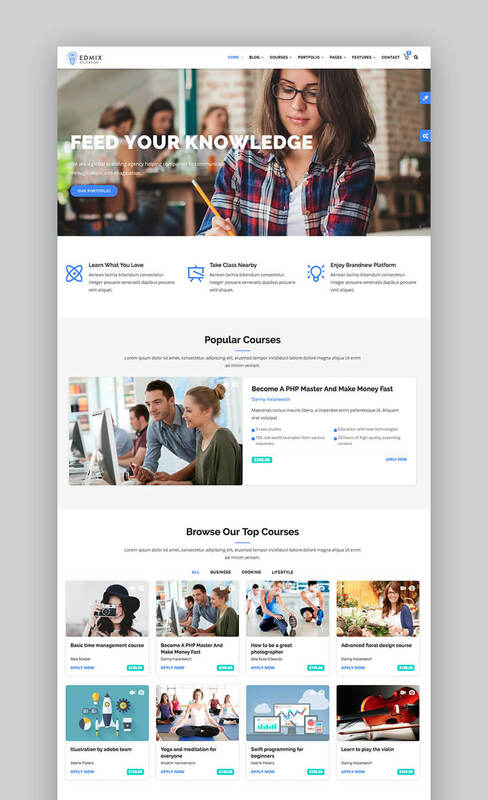 You’ll also find powerful layout builder, premade page templates, and support for multiple content types so you can create a truly powerful website. All of the themes can be customized to your heart’s content and have been designed with the best coding practices in mind which will help you not only to stand out among your competition but also to rank better in search engines thanks to responsive design, SEO optimization, and fast loading times. Another great marketplace where you can get Drupal CMS templates is ThemeForest. ThemeForest isn’t subscription based, but rather you pay for the item that you intend to purchase when you need it. There are no ongoing fees and the templates can be used on a single site only. 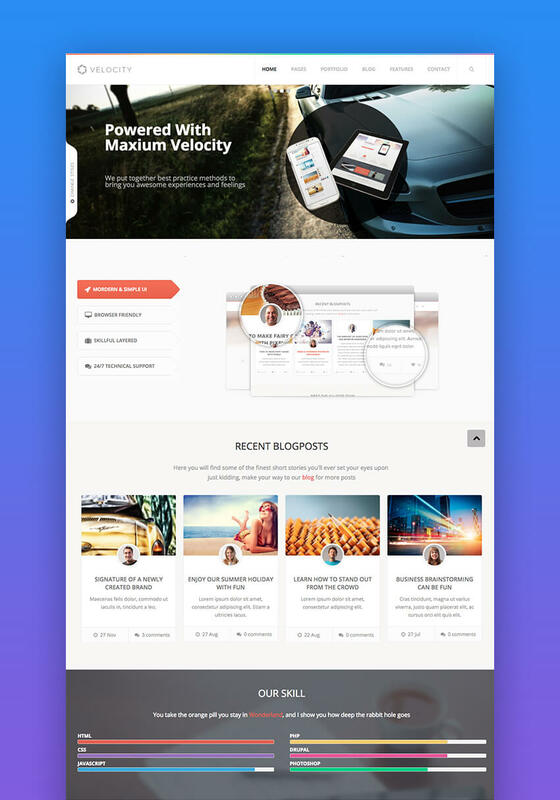 ThemeForest is a great choice for developers working on a one-off project or business owners who want to DIY their site and don’t need to have a need for other creative assets on a regular basis. 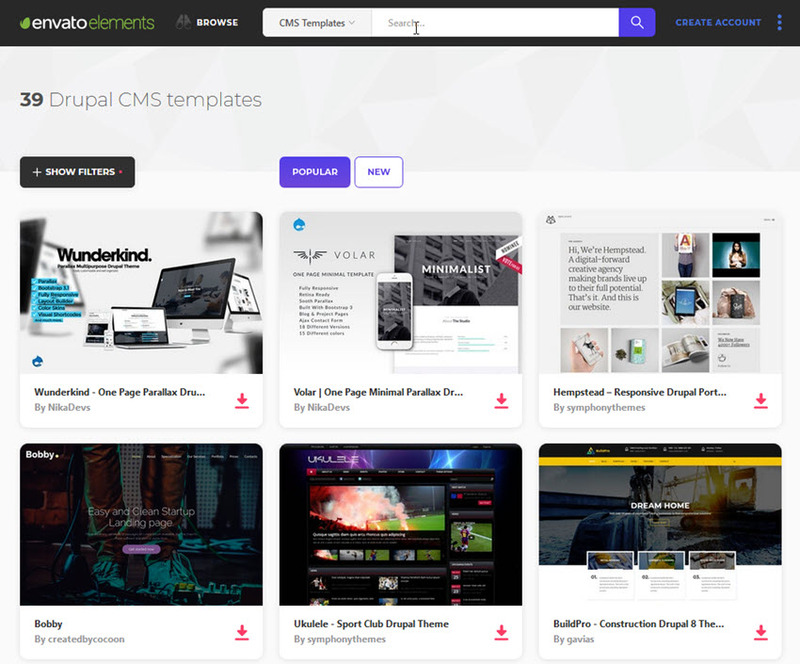 Here are our top picks for Drupal CMS templates on ThemeForest. 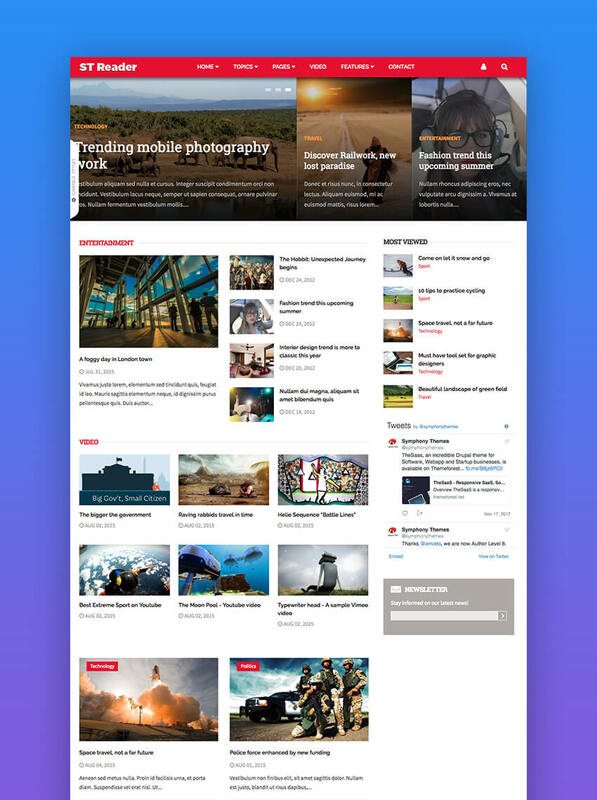 The Batiz theme features a clean and elegant magazine layout, which is perfect for anyone looking to launch a news website or an online magazine. The theme comes with Gavias Content Builder, which is a drag and drop builder that allows you to build professional blocks without touching a single line of code. You’ll also find several homepage layouts and plenty of customization options to make this theme your own. Consider the TrackSummit theme if you want to promote your conference or an event. This theme was built with events in mind so you’ll find features such as the ability to showcase your speakers, offer tickets and registrations straight from your site, share the schedule, and more. The theme is also fully responsive and includes multilingual support out of the box. 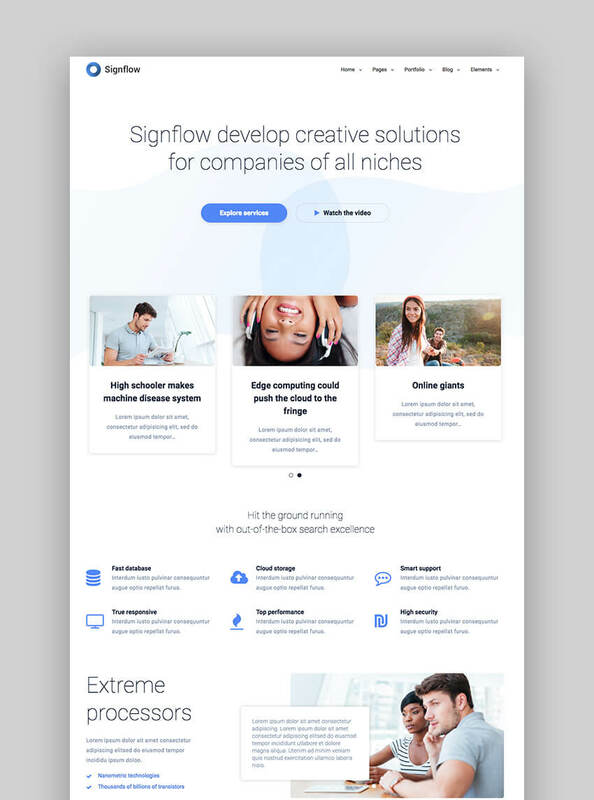 The Signflow theme is perfect for tech companies and startups that want a clean, modern, and responsive design. 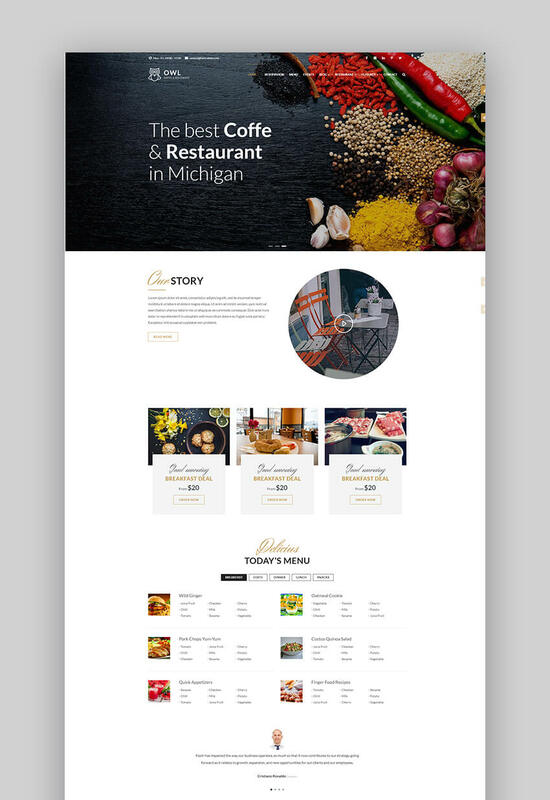 You can easily customize fonts, colors, background, and more as well as choose from more than a hundred page templates to create any type of page you need for your website. The theme also includes 15 different portfolio layouts, extensive documentation, and video background support. 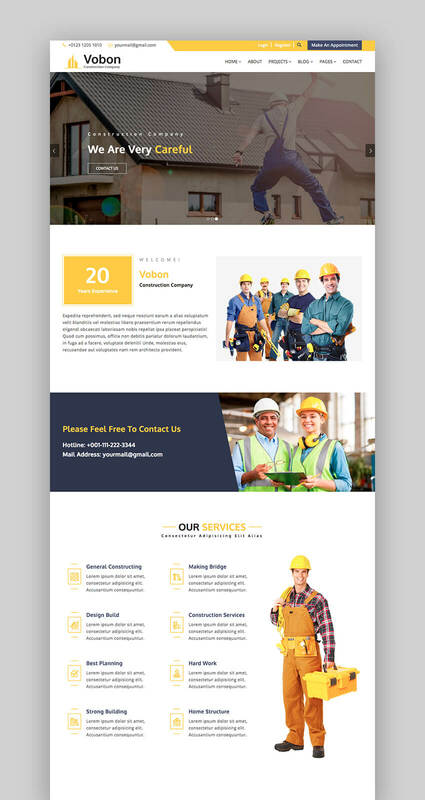 The Vobon theme is a perfect choice for construction, business, architecture, and interior design company websites. Vobon is fully responsive and completely customizable. 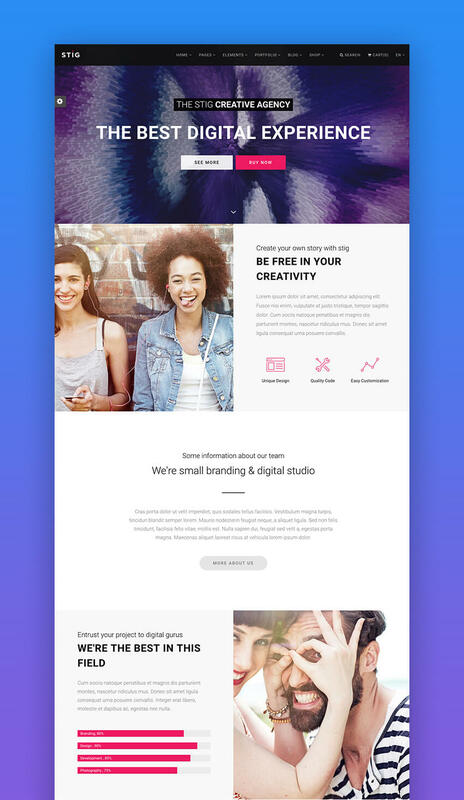 It includes stunning parallax backgrounds that are perfect for your call to action buttons and you’ll also find Google Maps module so potential clients have an easy time getting to your location. The Moving theme, as the name suggests, is a great choice for moving and removal companies. You can display your services, location, and your team members as well as make use of the contact form so potential clients can get in touch with you. The theme is fully responsive and comes with a Google Map module to make it easy for clients to find you. Gavias has created a really intuitive and functional template for d8. I have tried and tested it, and am loving it more than any other. His support is extremely outstanding, and i strongly recommend his templates and support. All the very best for sales of this. Great job! The Whole Drupal template can be used to build any type of website thanks to its beautiful, multipurpose design. 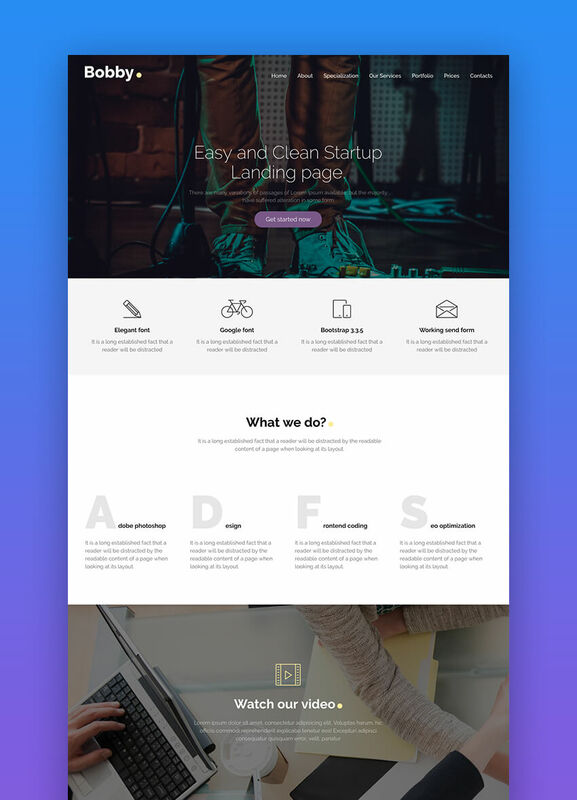 The theme is fully responsive and includes over 20+ homepage concepts as well as a huge range of styled pages such as About, Services, Testimonials, Clients, FAQ, Gallery, Pricing, Solutions, Team & Single Member Profiles, and many more. Additionally, the theme is fully responsive and can be easily customized. The Dawn theme comes with a clean, elegant design suitable for a variety of websites both personal and business. The theme allows you to showcase your services and feature team members and testimonials from past clients to build your credibility. You can also make use of multiple portfolio and blog layouts as well as use premade elements such as accordions, tabs, and others to add extra functionality to your site. Theme is extremely solid, well documented and comes with excellent support. Support is prompt, solving any misunderstanding of concepts and communicated extremely well. If you’re looking for a Drupal theme for your consulting or coaching business, consider the WECONSULTING theme. 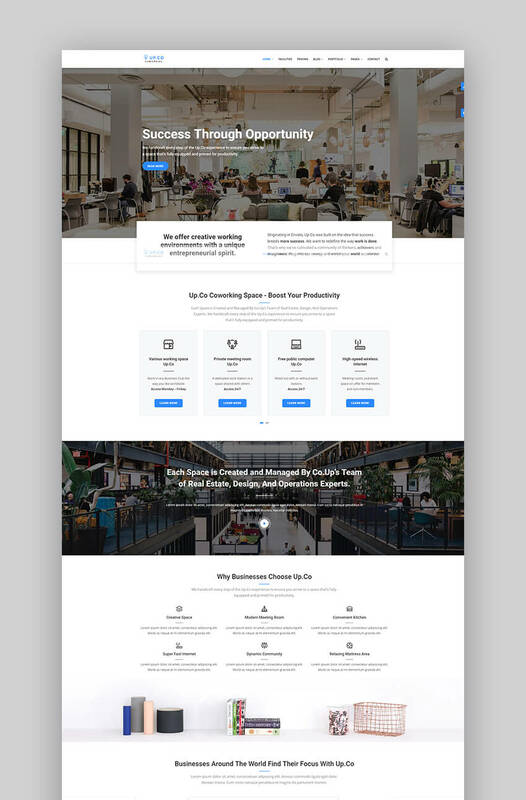 This theme makes it easy to display what type of consulting you provide along with several calls to action that encourage visitors to get in touch with you. The theme comes with four homepage variations, responsive design, and plenty of customization options. The Eco Green theme is a great choice for modern energy companies that focus on making use of the renewable energy sources. This theme comes with all the features you need to display your team and past projects. 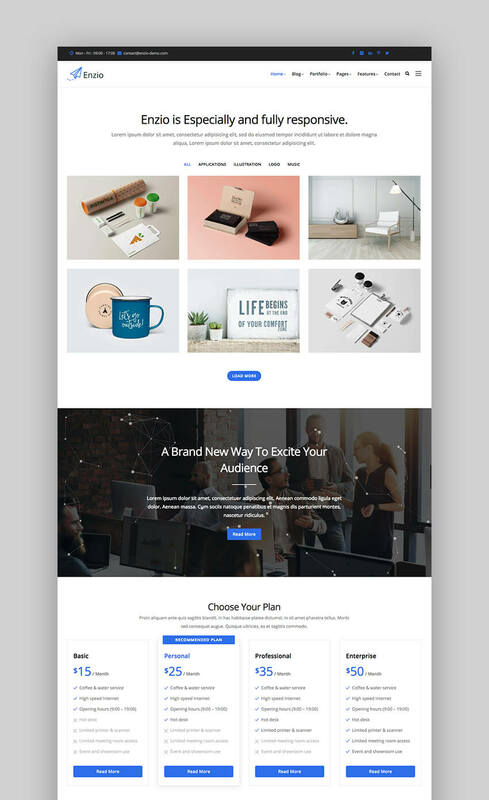 You’ll find filterable gallery pages, multiple blog layouts, online shop, testimonial, and FAQ page as well as a powerful drag and drop page builder. 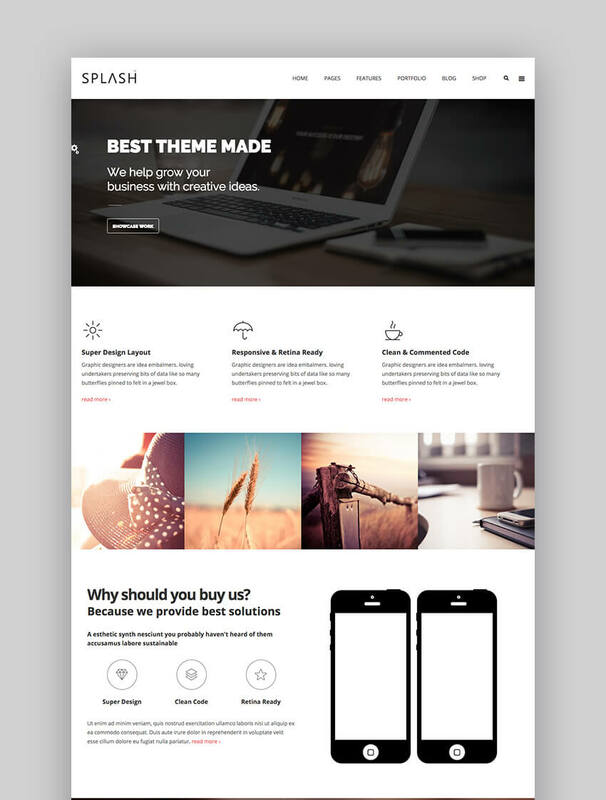 The Splash theme is a professional multipurpose Drupal template suitable for any business or portfolio website. It’s fully responsive and retina-ready and allows you to put your work at the center of attention. You can easily modify layouts and colors, as well as any other element on your site. If you’re looking to launch your website with Drupal, the first choice you’ll have to make is how you want your website to look. Use our selection of best responsive Drupal themes as a starting point. Don’t forget to check out the full collection of even more responsive Drupal themes on Envato Elements so you can find the perfect theme for your new site. Does Giztoob Get it Right?